as someone diagnosed with hep C (but have no problems at the moment), i have been putting off my first (and only one intended) cycle of oral for some time now. most of the research i have conducted indicate that one short cycle shouldn't create any problems. anyone here have an opinion, or have hep C themselves? Last edited by androplex; 04-19-2002 at 10:01 AM. 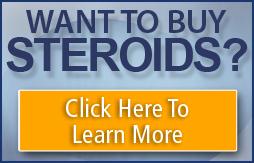 DinA, all steroids have dangers, but if used smartly they can be done fairly safe. Orals arn't as safe as most injectables since its possible they can effect liver values, but its unlikely they'll do so. what are your goals you want to achieve with AS? maybe i haven't made myself too clear - i HAVE been diagnosed with hep C, about 8 years ago. as i said, no problems as yet, and i only plan to work in one cycle. basically, i'm weighing in at 68K (5' 8"), after starting at at 61k since i started training seriously a few months ago - been training on and off for years. my target is around the 76k mark, which i know i'll get naturally, but i seemed to have hit a bit of a plateau, and i'd like to reach my goal sometime in the next millennium.....oh, you know how it is. i'm under the tuition/guidance of the guy who owns the gym, whose won medals, used gear for years, blah blah blah...point being he knows me, knows what i want, so i'm following his directions. he's explained quite clearly how i will drop weight when i come off the gear, which is ok with me. we're confident i'll hold a good chunk of weight as my diet is a good as it can get....i live in thailand so that's not hard to do. plenty of chicken, fish, pasta, rice....apart from anything else, i just don't like junk food!!! anyhow, that's the deal....i was wondering if there was anyone actually here who had hepC and used gear - it's actually become quite a common disease. btw, i'm using oral androgenic . you know the ones, little pink hexagonal things. dbol cycle eh? tell your friend you want to take clomid at the end too, so you can keep most gains. how long do you plan on taking the dbol for? Hep. C is getting more common, look at Pamela Anderson. This is just my opinion and it may differ from the rest of the group, but I would strongly discourage you from using any orals. Hepatitis C is a chronic disease, and there are studies that if not kept under control it may in the end cause hepatic cirrhosis, liver failure if you will. Oral anabolics will not help, you may consider taking something less toxic for your liver, and still short acting and effective. I would recommend propionate . But I am still wondering, why do you want to do a cycle like this one, and not a good stable cycle which will yield better quality gains? vanjag....could you elaborate - "stable cycle" - much appreciated. bear in mind this is my first and last cycle - just want to bump myself up that last few kilos i'm finding so hard. i know i'll lose some when i come off, but if i can gain 10 and lose 8, or whatever, i'll be happy.....remember my diet is very good. btw, anybody here use wannabebig?? if anyone here does and recognoises me, just getting some more opinions, ok?! I agree with vanjag. I work in pharm. research and HCV is a target of most pharm companies and one that I have studied recently. The virus attacks your liver and cirrhosis will ensue. Orals strain the liver which weakens it. Whenever something is weakened it makes it an easier target for viruses. I would suggest doing a cycle without any 17aa AS IMO. i've decided against using oral androgenic , it just isn't worth the risk - not for the sake of getting a few kilos that bit quicker. sorry to be a pain in the arse, but could anyone be kind enough to point me in the direction of where i can find info for "doing a cycle without any 17aa AS ", as JRob said. that cycle will do you better than that dbol only too! eq will make your stomach a bottemless pit! JMO, what do the rest think? When I say more stable cycle, I mean a cycle after which you will be able to keep more gains over a longer period of time. You will not get fast results, they will come slower, but will be more effective and stick longer. If this is your first and last cycle, as you have put it, then bear in mind that you will eventually start to lose muscle mass that you have put on while on your cycle, and you will start thinking about a new cycle. Calculate it for yourself, if it's worth it for you. I would recommend a 10 week cycle as follows. This is if you really want to do one cycle. You will eventually start losing what you gained, even with these longer acting steroids . well, first off thanks for all the help and suggestions, but after much consideration and much reading/research, i've decided to stay natural for the time being. i'm living in thailand, not working with a lot of time on my hands, and eating well out here is easy and cheap to do. ok, my gains will be slower, but they will last and, well, be more 'satisfying' maybe. as i said before, i've managed to gain 5k naturally, so i'll just keep at it until i get there.....eventually!! !